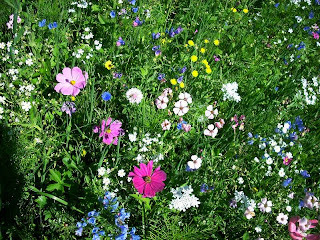 wildflowers | Sommerberg Hotel Bad Wildbad, Herzlich Willkommen im Panoramahotel über dem Enztal! would be great to see such arrangements up here too. A mass of wildflowers curves away into the distance A wonderful wildflower display seen today. Although not on Sommerberg, but in Bad Wildbad, itwould be great to see such arrangements up here too. 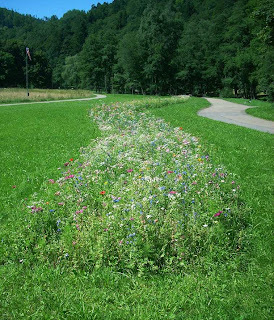 The roundabout to Sommerberg in Bad Wildbad caught my attention the other day with its incredible display of wild flowers, the like of which I have rarely seen before.